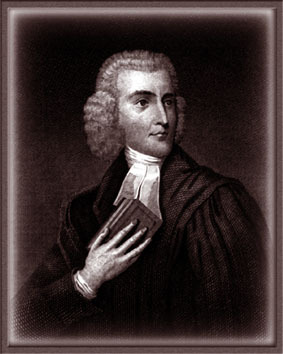 The early death of Thomas Halyburton (1674-1712) robbed Scotland and Christ's church on earth of a champion of the Reformed Faith. Renowned for his Memoirs in which he traces his spiritual experience in a candid yet balanced way, there were also important doctrinal writings against Deism and on the nature of faith. His theology was of the school of John Owen and his ability and piety fitted him for an all-too-brief appointment teaching theology at St. Andrews, where he lies buried alongside Samuel Rutherford. The following is the substance of a sermon on 1 Cor. 1:23, 24 preached on a Communion occasion and entitled " Christ crucified; or, The wisdom and power of God in him rendering the gospel call effectual. " Published in the Presbyterian Standard, the magazine of the James Begg Society, Issue No. 9, January-March 1998. — 1 Cor. 1:23, 24. 3. They are such to whom Christ is in time given, and with him all things, Rom. 8:32. Here is the order. Christ, 1. Is delivered for us. 2. Given to us. 3. All things with him. The wisdom of men, heathens and Christians, have laboured to find pleas, and to this day new defences are still sought. Some are for pleading not guilty, denying. Others for excusing, extenuating faults, like Adam. Some for making amends, by vows to do better in time coming. Some promise to do more than is required. Some pretend to expiate their sin with their tears. Some are for penances. Some run to sacrifices of beasts. Others to barbarous human sacrifices. Others, to the sacrificing their own children. And some fearing all this not enough, would be content to go to impossibilities, Mic. 6:6. Some place much in acts of charity. Others are for monastic vows, retirement, and mortification, as they falsely call it, or, to use the modish word, doing penance. Some to trusting to their own faith. Others to their sincere obedience, such as they can give. And, in effect, here they all land. We owe pounds, and we will pay pennies. You see there are two advantages. 1. God shall not have it to say, that he freely forgave them all. 2. They may say they have paid some, though not what they ought, yet what they could, and it were cruelty to exact more. Finally, some fearing all this not enough, run to a purgatory, or, in the new language, a state of purification. Look how hard man's wisdom is put to it, and yet not one of all, nor all these together, have power to justify and bring us off. 7. Christ's death is the power of God, to the overthrow of Satan, "by death, he destroyed him that had the power of death, that is, the devil," Heb. 2:14. This may be understood by what was said about sanctification; Christ pays the debt, and so, 1. Satan the jailor loses right to detain us in prison. 2. We have a right to crave power to free us from the wrongous detainer.